lithium batteries for 10 years, meaning they are always on - 24 hours a day, seven days a week. 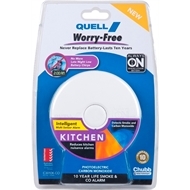 Australian Standard Certified, they feature a photoelectric sensor, hush and test buttons and no need for battery changes, are quick and easy to install and come with a 10 year warranty. 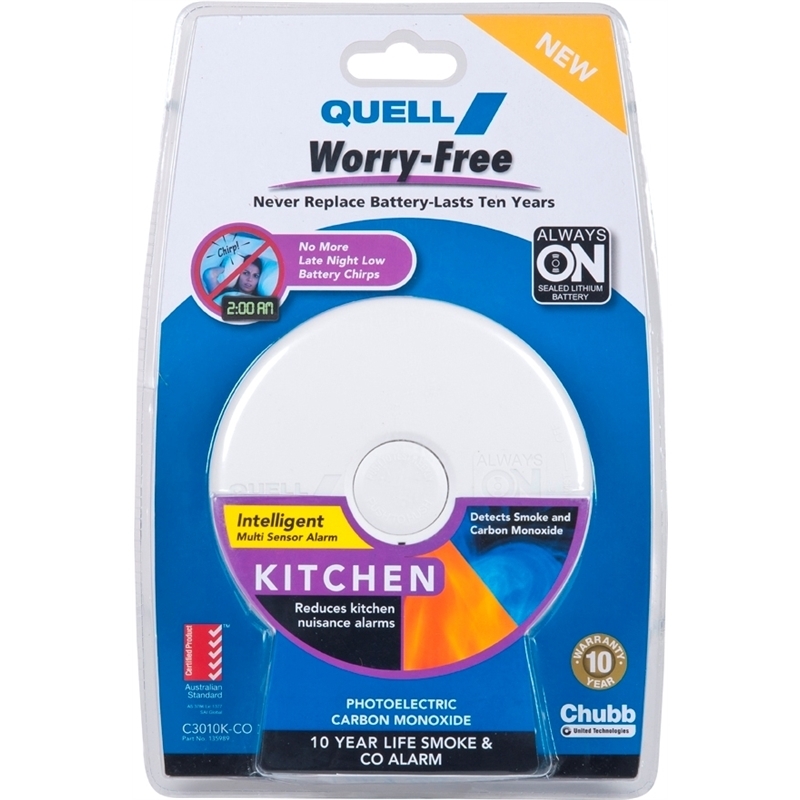 Perfect for the kitchen, this model also detects carbon monoxide, while a unique sensor algorithm reduces cooking-related nuisance alarms. No more battery changes or late night low battery chirps!